The EOS series of cameras from Canon offer a nice feature which is of particular interest for DIYers and technically oriented photographers. It is possible to trigger these cameras externally using an electrical signal. To the hobbyist's delight Canon used no special protocol to trigger the camera - you just have to short-circuit two wires. The external trigger can be accessed with a stereo (3 pole) 2.5 mm jack plug. It is not the standard plug used in mp3-players etc. which has a diameter of 3.5 mm! But don't worry, you can buy the smaller plug in any bigger electronics store. The pinout is shown in the picture below. Connecting the focus-wire (ring) with ground (sleeve) corresponds to pressing the shutter button halfway down and results in focusing the camera. Accordingly, connecting the shutter-wire (tip) to ground (sleeve) corresponds to pressing the shutter button all the way down. 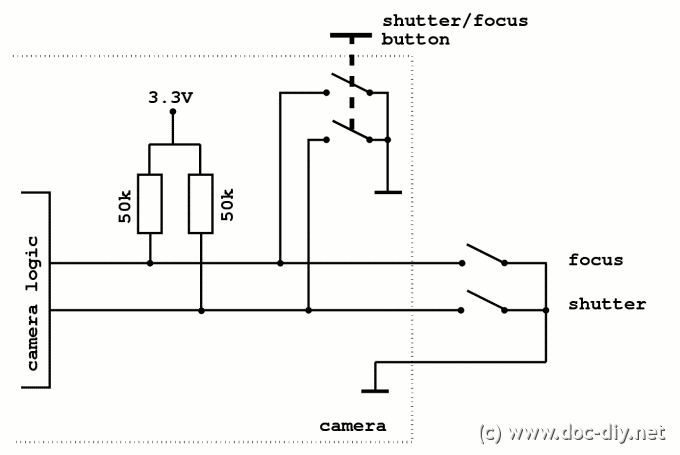 In this case the camera is first focused and then triggered if the focusing was successful. In manual-focus mode the camera is triggered instantly. The double and single digit Canon cameras have a different connector (for whatever reason). Canon calls it the N3-connector. The only way to get the connector is to cannibalise a cheap wired remote control. The electrical circuit behind the connector equivalent to the xxxD types. 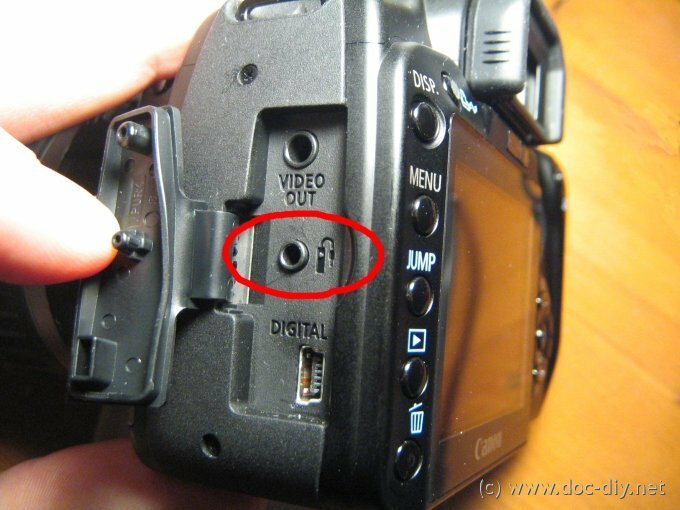 If the camera is in stand-by mode, there is a voltage present at the focus wire. 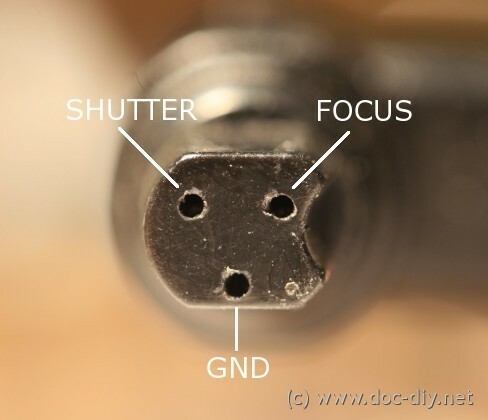 The camera can be waken up from stand-by by connecting the focus wire to ground. The trigger inputs can serve as power supply for circuits with a supply current of less than 30 µA like the HDR-Jack. Make your own life time more easy get the credit loans and everything you require.